With the built-in Yahoo Store Shipping Manager, you can create shipping rules from the very basic to moderately complex. You can charge by order, by order value, by the number of items in the order, or by shipping weight, or some combinations of these, among others. If you ship via UPS, you can also connect your store to your UPS account and calculate real time UPS shipping charges. While the flexibility offered by the Yahoo Store Shipping manager is probably sufficient for most stores, you may find the need to have shipping rules that go beyond the capabilities of the system. Some of the most common limitations merchants may face are the fact that Yahoo does not support per-item shipping rules, shipping exceptions (such as oversized items), or connecting to any other shipper besides UPS. To overcome the limitations, Yahoo offers real time shipping and tax calculations. With that option, you can connect to an outside program that can calculate and return shipping charges to your Yahoo shopping cart as needed. While this method does offer maximum flexibility, you literally (and this is not a figure of speach) have to be a programmer (or hire one) in order to use it. So what can the average Yahoo Store Merchant do? 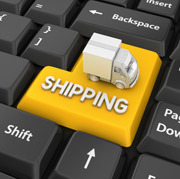 Enter KingWebmaster's Advanced Shipping Manager! KingWebmaster's Advanced Shipping Manager gives you all the flexibility you as a Yahoo Store merchant will ever need when it comes to setting up shipping rules for your Yahoo Store, and all with the ease of using your Store Editor and the Advanced Shipping Manager's administration interface. No programming required what-so-ever! Connect to any major shipper in real time, such as USPS or FedEx, not just UPS. Click here to read more and to order Advanced Shipping Manager.